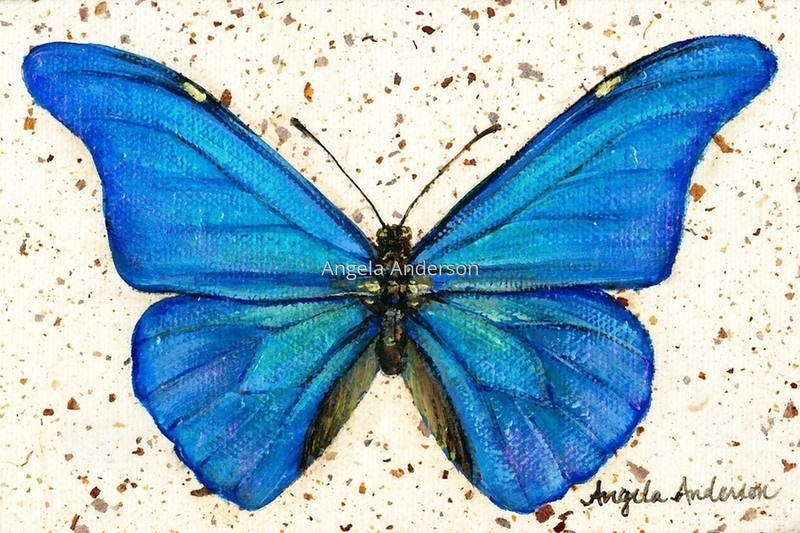 Blue Morpho butterfly on a mini canvas covered with textured tissue paper. Gallery wrapped canvas is wired and ready to hang. 5" x 7.5"6" x 9"7" x 10.5"